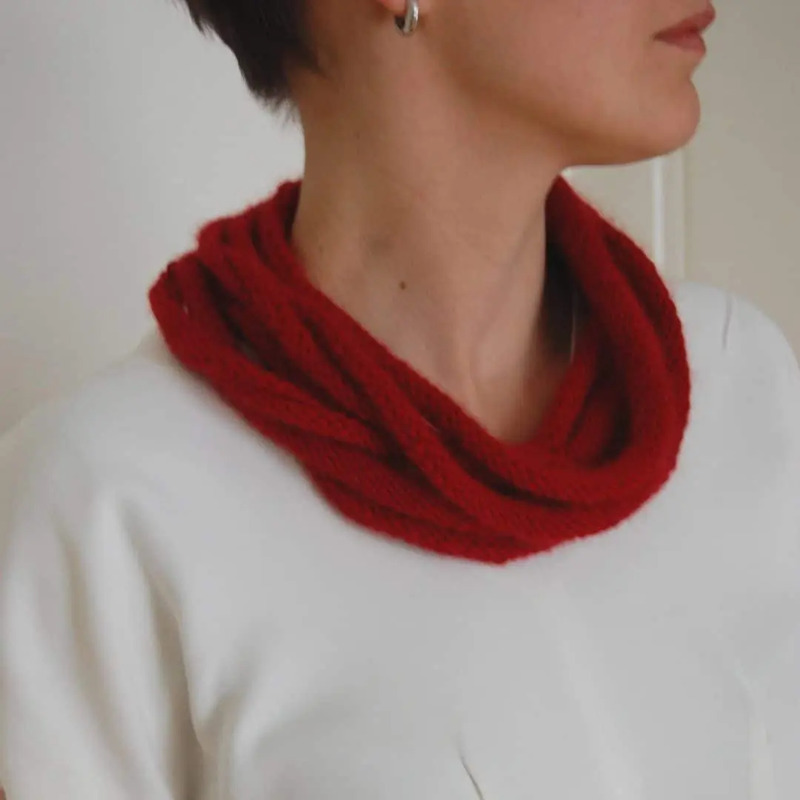 This cashmere neckpiece is fun to make and very quick too. 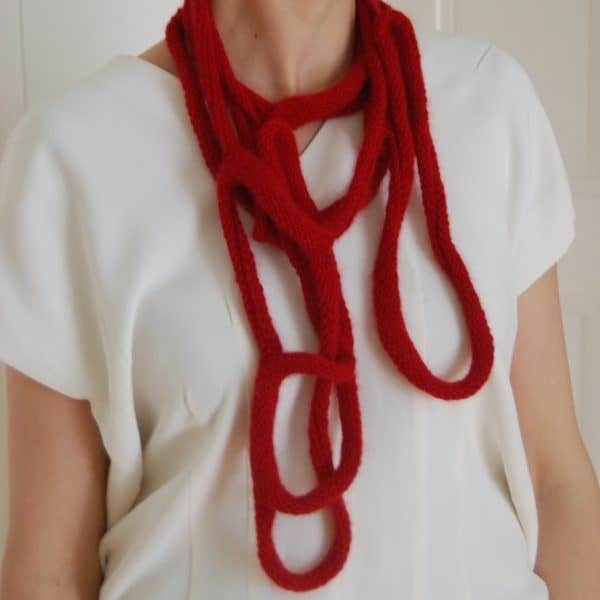 Fantastic for winter parties. 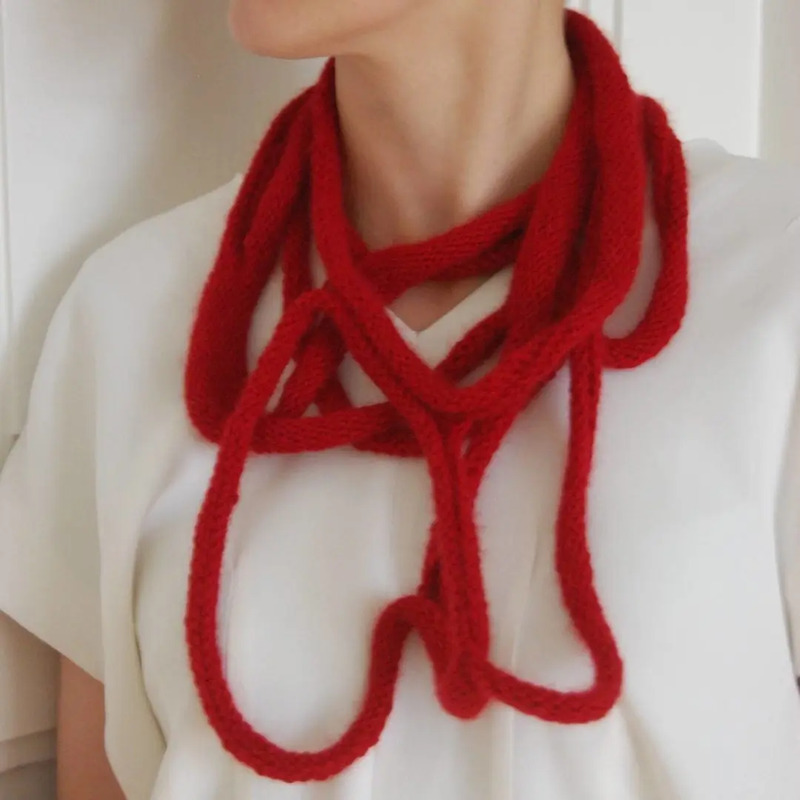 Or just a nifty accessory to keep your neck warm in winter, party night or not. 1 skein (55 grams /200 yds or 182 mts per skein) of Jade Sapphire 4-ply 100% Mongolian Cashmere in Blueblood Red (col.47), or your chosen colour. Alternatively, you can use The Good Yarn Stall 100% 4-ply Cashmere, which is nearly the same in spec. 19 sts & 32 rnds = 10cm/4” over st.st using 4.5mm circ needles. NOTE: Perfectly matched gauge is not essential for this project. The length will depend on how you wear it – anything from the short choker-style neckpiece to long necklace & anything in between!